Soak sago pearls in water for about 10 minutes.Heat thin coconut milk in a pan,add the soaked and drained sago pearls and cook until done. Next add the chopped banana and cook until it turns soft. Finally add thick coconut milk and mix well.Heat ghee in a pan and fry cashew nuts and raisins. 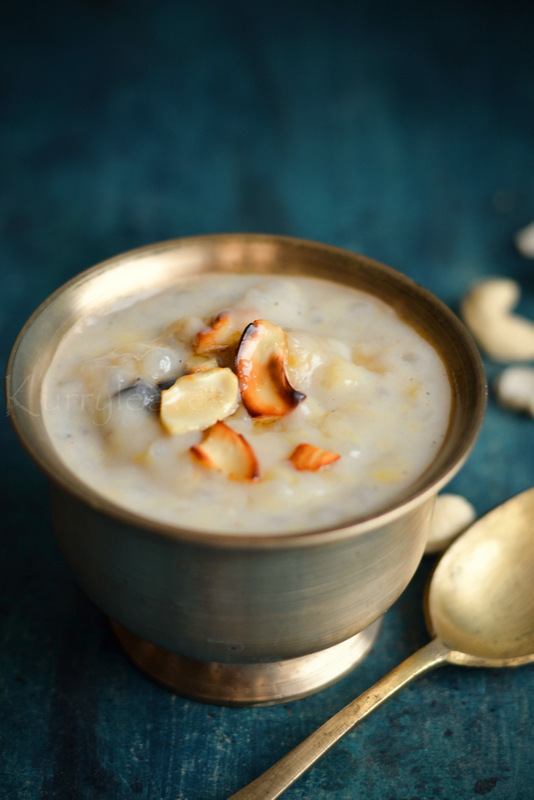 Add fried cashew nuts and raisins,sugar,salt and cardamom powder to the coconut milk -banana mixture ,mix well and bring it to just under a boil.Switch off the stove and serve warm. 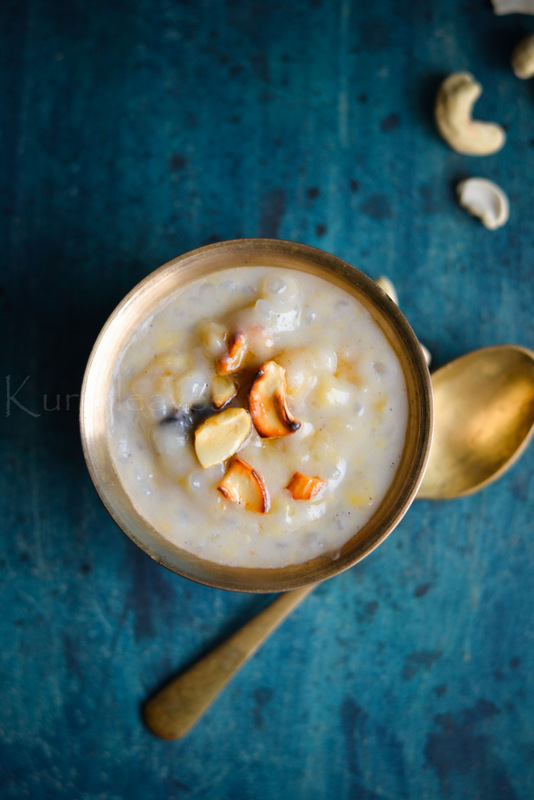 You could also fry the chopped banana in ghee and then add to the sago coconut milk mixture. Adjust the quantity of thick coconut milk according to the consistency required.